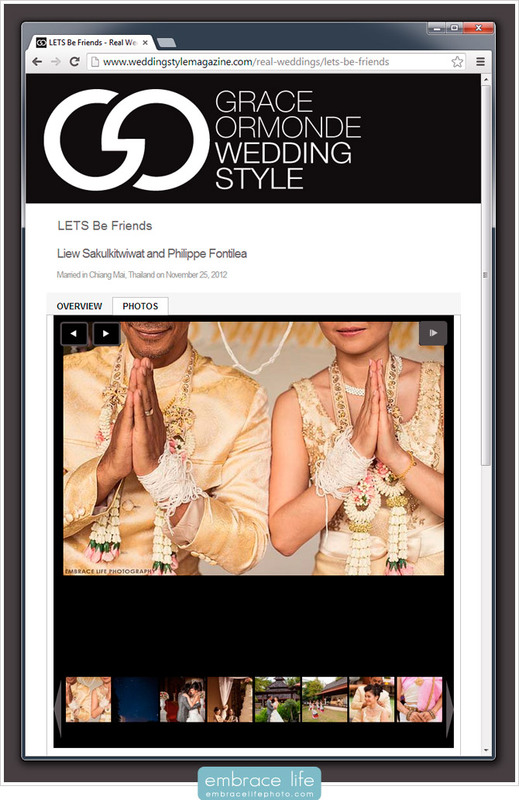 We’re so excited to announce that our photographs of Liew and Phil’s destination wedding at the Shangri-La Chiang Mai, in Thailand, are being featured in the Real Weddings section of Grace Ormonde Wedding Style’s website! This feature is perfectly timed because Liew and Phil, who have become great friends of ours, are actually moving to Chiang Mai, Thailand very soon. This is such a nice send-off for them. Guys, we wish you all the best, and hope we can visit you there soon! See more of this incredible destination wedding in our gallery, here. Also, check out Phil’s incredible charity, LETS, and Liew’s kale chips, SnackLETS.